So I realize that I disappeared off the face of the internet in… April? March? Some time back then. I’m really sorry about that, and especially anyone I left hanging. Basically, real life came out of nowhere and slammed into me. I got a second job, went through some family stuff, ended the second job, got a different second job, ended both that and my first job, opened a show, took a summer course in NYC, watched my laptop slowly give up the will to live, went through another period of deep depression, started a diet, stopped that diet, got a new full-time job (Teaching! \o/), went through some more family stuff, watched my Jeep finally give up the will to live, got a new laptop, got a new truck, went through even more family stuff, moved to a new apartment, and opened another show. In roughly that order. Needless to say, I’ve been a little overwhelmed. In fact, with the new job and new shows (three more this semester :O ) I haven’t even finished moving out of storage or unpacking my apartment yet. So yeah. I am going to do my best to go back and catch up on what I’ve missed, though the bulk of it will probably have to wait until Thanksgiving or Christmas break. If you wrote me something and I never replied, I promise I will read it soon, and it will give me something to look forward to during my brief free periods, and I know I will love it. If I flaked on something for you (1MW Star Wars week people, I’m ashamedly avoiding eye contact with you) I am so so very sorry, and I will do my best to make it up to you. Somehow. Someday. So yes, I’m off to bed now because I’ve got an early day at work tomorrow, but I just wanted to return to the world and apologize for my absence. I just wanted to pimp one of my land communities again, if you were looking for another place to get some good writing/graphicing prompts. Womenverse has started Round Six! Hey, time for another pimping post! This one is for the_deepbluesea. Hey, time for another pimping post! (Again on LJ, sorry) This one is for femslash-land. Femslash Land is a landcomm for all of your favorite femslash pairings! 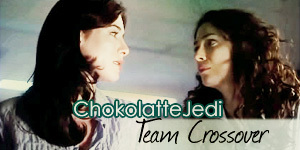 Join team cannon, team subtext, or join me on team crossover! Write and graphic and play games and generally make sure there is more femslash-y goodness in this world! I just wanted to pimp another community, if you have a livejournal too were looking for another place to get some good writing/graphicing prompts. Womenverse is starting Round Five this week! Welcome to the Multifandom Hurt/Comfort & Schmoop Comment Fic Meme! All Fandoms Welcome! RPF/RPS included.